Far North Spirits craft distills four different rye whiskies each with its own distinct mash bill and unique aging and finishing techniques. All are entirely field-to-glass, made from non-GMO and heirloom grains grown by the distiller himself on his family’s 100-year-old farm. 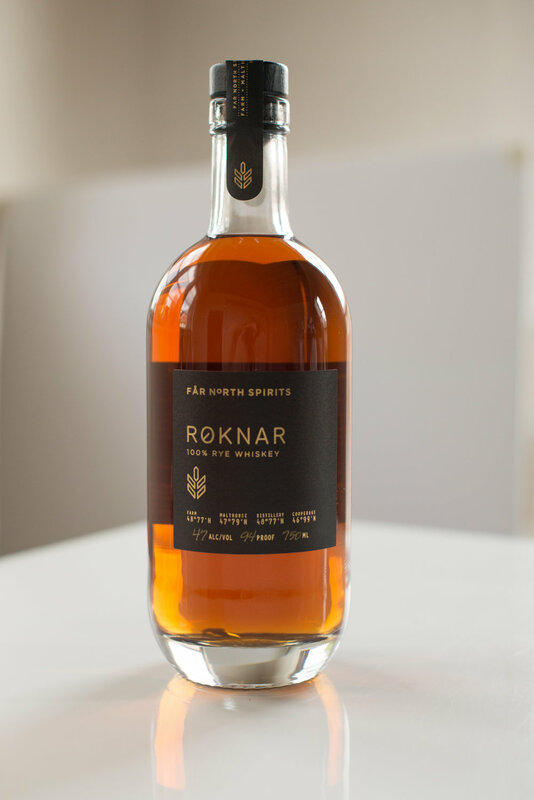 The Scandinavian name Roknar \ROCK-ner| means Warrior from the gods in ancient Norse. While the legendary Viking Ragnar Lodbrok may or may not have actually existed, his reputation throughout Europe as a hero and true badass seems to endure nonetheless. Exclusively available in our distillery cocktail room, with limited releases in New York and Chicago in 2018.